About — walk in love. we are the mousetis family. We know, it’s hard to say. "Muh-See-Tiss.” There you go! Hi Guys! T.J. here. Brooke asked me to write a bio for this page, and since I myself am not typically a "bio reader", I've decided to make this page worth your time. Hang on tight, it's a good one. It was a hot summer day and Brooke was struggling in the ocean as a great white shark circled her. I just so happened to be passing by, high above in my personal helicopter, when I noticed her in the ocean below. Without even thinking, I dove into the shark-infested sea and fought off the ferocious beasts with my bare hands. After punching a lot of sharks in the face, I helped Brooke swim to shore where we were married on the spot at an impromptu wedding ceremony. We spent our first year of marriage in an underground street fighting ring where we became tag team Ultimate Champions and won millions in prize money, which we donated immediately, obviously. After that, we invented Facebook, Beanie Babies + Almond Milk, but gave them all away except for the rarest beanie baby of all, that no one has ever heard of. It's hidden somewhere in the South China Sea with it's heart tag still attached. Next, we wrote the jingles for Crossfire, Gator Golf, and Old Navy performance fleece. Again, taking no credit because of our great ability for humility. Brooke wanted to take some credit, but I talked her out of it. We had seemingly "done it all", so we decided to settle down in a small town and start a family. We have two beautiful girls, and both of them are super advanced and were both walking and talking at 4 months of age. Long story short, we are good at everything and haven't ever struggled in our lives. If you connect with that, this is the place for you. But for real now. Brooke and I have been married almost 10 years, have two beautiful daughters and consider it a privilege to share our story on our blog with all of you. We love each other very much and try to show that in all sorts of ways. Both of us aim to live simply, choose joy and see the magic that happens in life's everyday moments. We believe that God is good and when you walk in love you change the world. 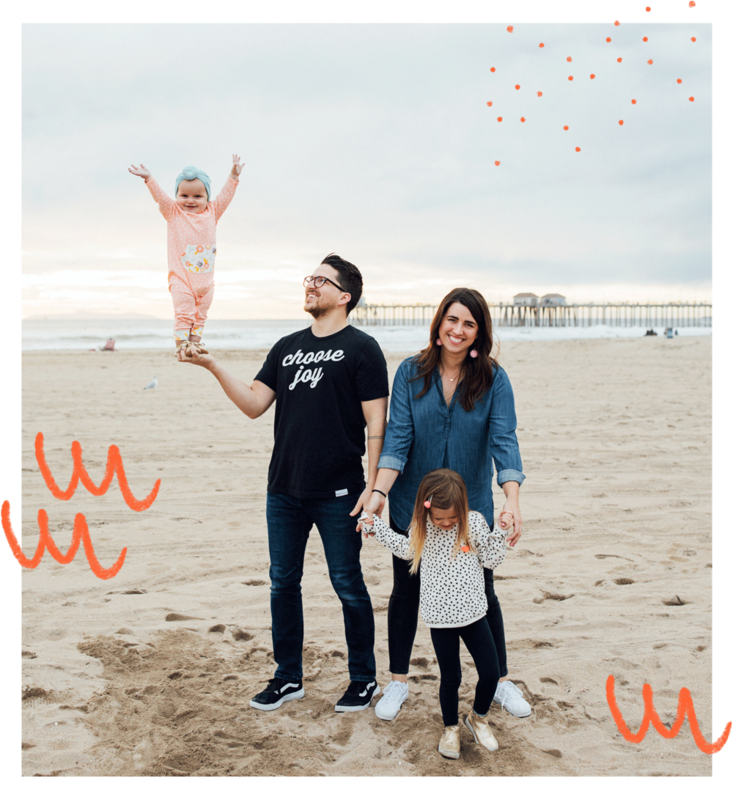 If you thought our bio was funny, like iced coffee, love your kids and spouse, desire to choose joy, and live an intentional, simplified life -- then this blog is just for you. We are glad you are here and hope you'll stay awhile. In 2005, "walk in love." began as a fundraiser, selling t-shirts that said "walk in love." on them as a way to raise money for a mission trip. But it quickly morphed into a hobby, and then my actual job. Once Brooke entered the picture, we opened retail stores, created an app, grew our following, and turned walk in love. into a nationally recognized brand. Yet, while it was all those things, it was mainly one thing - a reminder. A simple reminder to love others, no strings attached. Even though we've now moved away from being a t-shirt brand, we kept the name because we still need the reminder to walk in love. Don't we all? In our marriages, as parents, as followers of Jesus, and as people walking through this world.